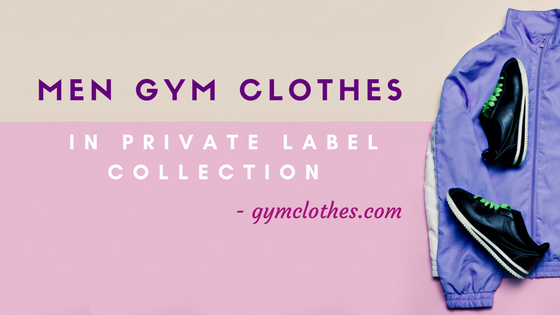 Do you want to start your gym clothes private label business? Running out of ideas? Well, here three gym garments for men have been summarized for reference. Keep reading to find out more. Each of the pieces is on trend and will definitely have a great appeal to the customers. Wearing an undershirt to the gym is not really a great option, so a t-shirt has to do all the talking. The key to picking the right tee for the gym boils down to one thing (and one thing) only- the fit. A gym t-shirt that fits the aesthetics well and allows unrestricted movement is what should be opted for. But other than the fit and the functional qualities, the look of the tee matters much. Walking around the gym in neon shades is not really a groundbreaking idea. However, lighter shades tend to show off the sweat patches. Thus, a dark background with a funny message can be an ideal pick. In other words, the gym tee should be fashionable enough to pull off an athleisure seamlessly. So craft tees with private label gym clothing manufacturers that will balance function and fashion effortlessly. If recent trends are to be followed, tights for men have become a thing. More and more men are accepting the tight pairs as a part of their gym ensemble. Not only are tights comfortable and fashionable, but the pairs actually have some really valid use. These pairs prevent the junk from chaffing or hang loosely underneath a pair of shorts. Also, wearing a pair of tights feels like wearing nothing at all. Considering all these points, private label workout clothing manufacturers have integrated such pieces into their collection. As private label owners who care a lot about the customer’s comfort, adding these to the store collection will be a smart move. Stick to basic shades like navy and black for that extra dash of masculinity. A classic is always a classic! And a running shoe has earned its status up on that list and deserves praise. Whether going for a run (obviously) or walk, doing cardio or lifting weights (practically all workout regimes except for yoga), a running shoe is quite indispensable. Running shoes are technical, not because these promote functional qualities like high traction, soft sole and being shockproof, but these pairs are actually good for the feet. But instead of incorporating bright and vibrant shades with the shoes (which looks hideous, to be honest), opt for darker tones and solid colors. Thus, give your private label collection a boost with these high demand pieces and witness customers flocking to you for more. Follow the industry trends closely but also be mindful of maintaining their unique appeal. To personalize the gym clothes with your design, get in touch with the reputed private label gym wear manufacturers.